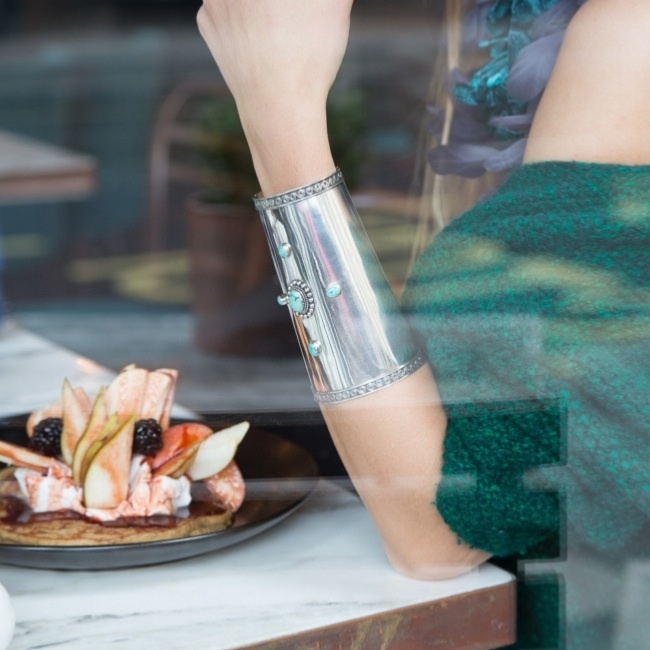 We have recently had one of our show stopping products - our Sterling Silver and Turquoise Cuff Olga - reviewed by Liza Urla of Gemologue. See below the beautiful pictures of Liza wearing this very special piece of jewellery. We have some fabulous turquoise jewellery. Why not treat your self to a turquoise pendant or turquoise necklace to go with a turquoise bracelet!